At HHD, our proven track record, expert lawyers and attention to client care have earned us the reputation of being a leading firm in the field of Professional Negligence claims. A duty of care exists with an adviser or professional instructed to provide a service. Professional Negligence may arise when this duty is breached or falls short of what was expected. For example incompetence or poor workmanship with the particular work or service; poor advice; misrepresentation in the experience or skill possessed by the professional. 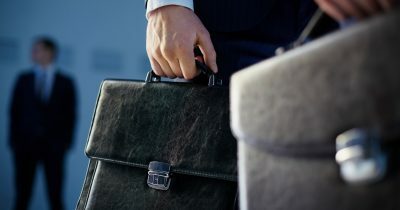 Damages for Professional Negligence are usually compensatory in nature and seek to place the individual or business in the same position before the breach of duty occurred. At HHD our claims team are highly skilled and experienced in pursuing claims against a range of professionals including accountants, architects, building contractor, financial advisors, legal advisors and solicitors, surveyors and valuers to achieve maximum recovery for you or your business. Forward thinking, we recognise there may be ways other than litigation to resolve a dispute. We engage in mediation and alternative dispute resolution. We encourage adoption of the Pre-Action Protocol of the High Court for Commercial Actions to provide for the early exchange of full information on a prospective claim and parties to avoid litigation by agreeing a settlement of the claim without recourse to litigation. In the event, however, that litigation is necessary you can rely on our team to bring an efficient and skilled outcome to the dispute. For further information and advice please contact Damian Deazley Partner at damiandeazley@HHDsolicitors.com or Telephone 02890770770.